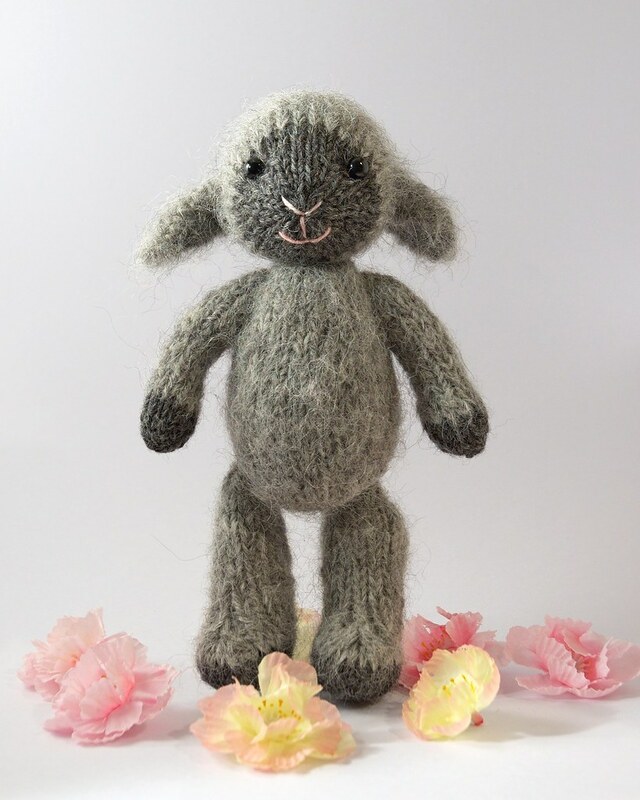 Several people participating in the knit-along over on Ravelry have had some challenges using very fuzzy or bouclé yarns for their lambs. Someone suggested that I share any tips I have over here, so that everyone can benefit! So, I'll give you a few tips that have helped me with these types of yarn, and if you have any to share, please leave a comment. I've noticed it myself, and I've heard others comment, that bouclé yarns can make your hands hurt when knitting them at such a tight gauge. Most of my toy patterns are designed to be knit with worsted weight yarn on 4 mm needles (so slightly tighter than you would normally knit with this yarn weight). However, most bouclé and fuzzy yarns are bulky weight, and it can be a real strain knitting them on 4 mm needles! My first suggestion would be to go up a needle size or two, and not worry that your toy is going to be bigger than the usual 20 cm (8"). My second suggestion is to try to find a fuzzy/bouclé yarn that is closer to worsted weight, or works better on 4 mm needles. 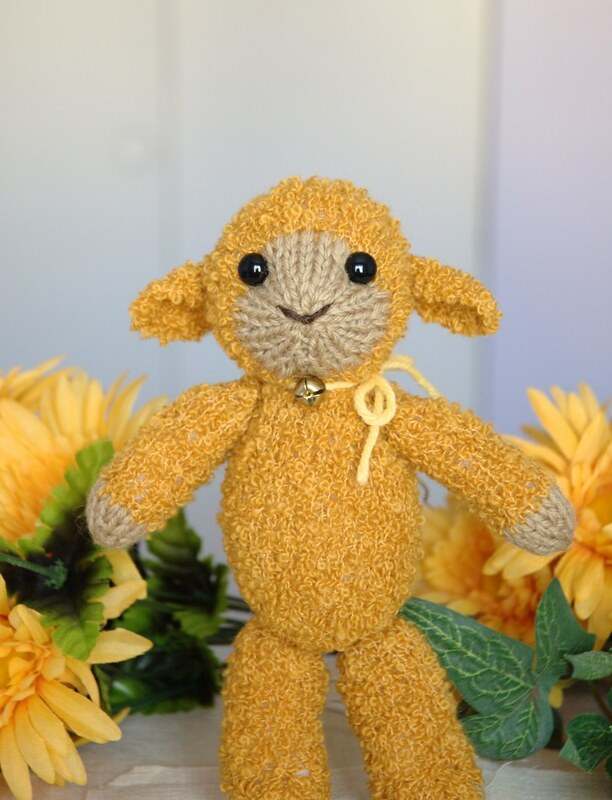 The lamb above was knit with some wool bouclé yarn I was lucky to find at a thrift store (sadly a discontinued brand). I also love using Knitpick's Suri Dream - even though it's described as super bulky, because it's a fine strand with lots of fuzz you can knit it on 4 mm needles with no trouble. Something like that might be just the solution you need! Another trick that can sometimes help is to work more loosely than normal the rows preceding lots of increases. Just going slowly and being careful to purl these rows a bit looser, can make it so much easier to get in all those m1 stitches on the next row! 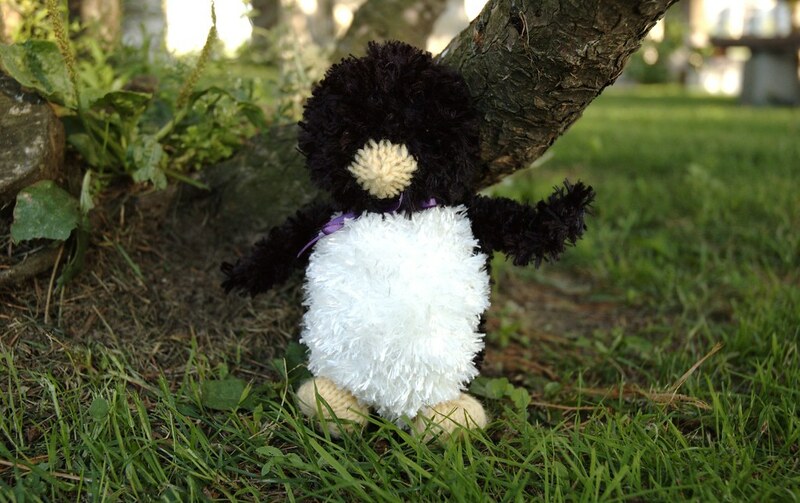 this guy was knit with eyelash* yarn - so difficult, but so cute! Finally, it can often be nearly impossible to sew up the seams with nubbly yarns. Save yourself some hair-pulling, and find a bit of smooth yarn to match your main colour (if you're really good at seaming, this yarn barely shows, so it doesn't need to match all that closely). Rather than using your cast-on or tag ends to sew up the seams, cut a long piece of the smooth yarn, and start sewing at one end, leaving a nice long tail. Once the seam is all done, and the piece stuffed, you can run this extra end through the stuffed piece a few times to anchor it, then snip off the excess. I hope these tips are helpful to you, and please remember to leave a comment if you have some helpful tips of your own! *Sorry, I don't remember what brands I used for these toys, but they were your usual craft-store novelty yarns. Posted by Barbara Prime at 12:54 p.m.
Wowee. Your animals are super! I was wondering whether you have a pattern for a highland cow yet? My scottish cousin will be giving birth to her first baby this June and I'd love to make a highland cow for the wee one... Any pointers would be greatly appreciated! February 18, 2010 at 4:34 p.m.
As always, excellent hints - thanks so much! February 19, 2010 at 11:11 a.m.
Great post, Ms. Fuzzy Mitten. Thank you! I'm enjoying the Spring KAL and your technique notes are a welcome addition. February 19, 2010 at 11:13 a.m.
That grey lamb is about the cutest thing that I have ever seen. 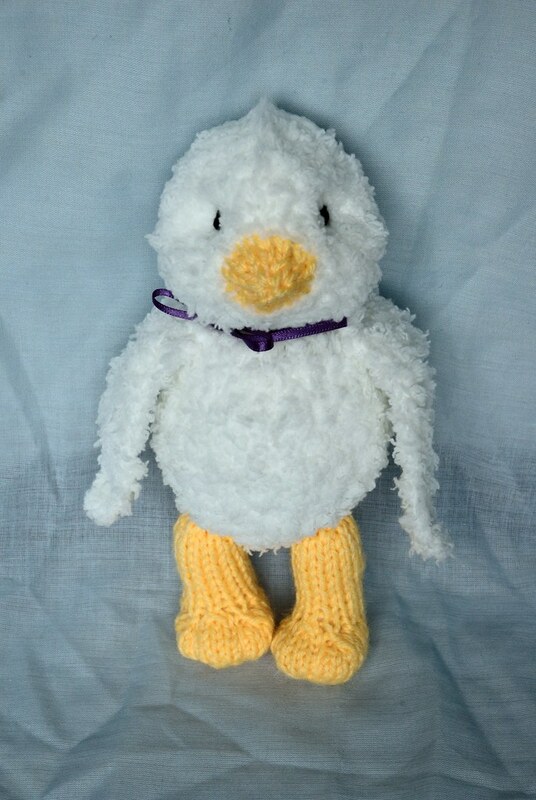 How can I get a pattern for him? February 22, 2010 at 3:21 p.m.